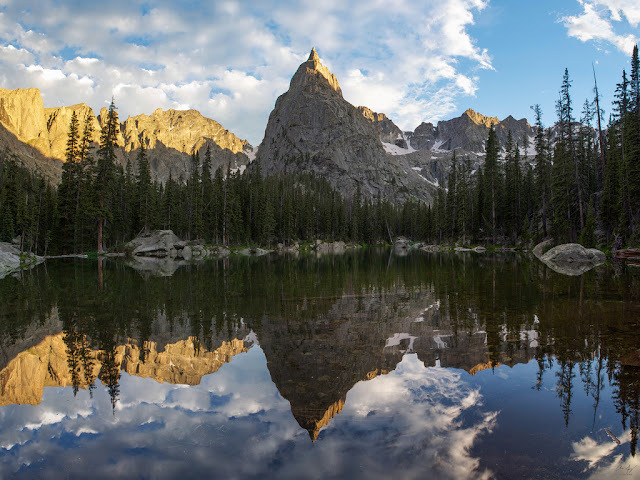 Lone Eagle Peak is an inspiring pinnacle located deep in the heart of the Indian Peaks Wilderness of Northern Colorado. Mirror Lake is aptly named as the jagged mountains reflect in the water. Crater lake is only a quick stroll from Mirror Lake and has great trout fishing. It should be noted that this one is a fairly popular destination during the summer weekends and a wilderness permit needs to be obtained beforehand. The unique, lush mountains of the Ice and Island Lakes Basins don't seem like they belong with the rest of the state. 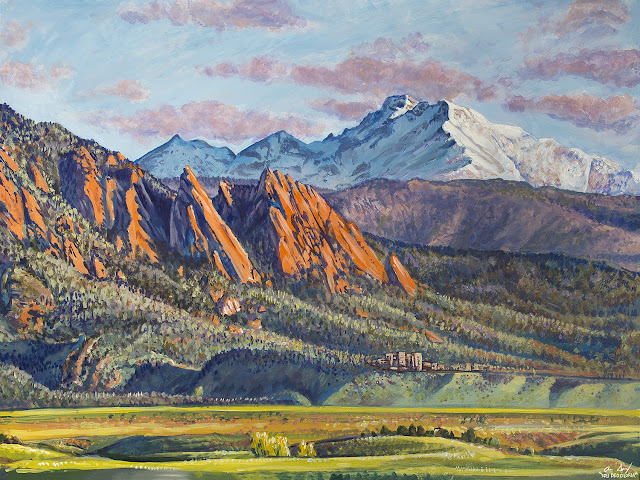 Green hillsides full of wildflowers give way to red colored rocks towering above. The area is surrounded by 13,000 ft. peaks. The tallest of these mountains is appropriately named Vermilion Peak. 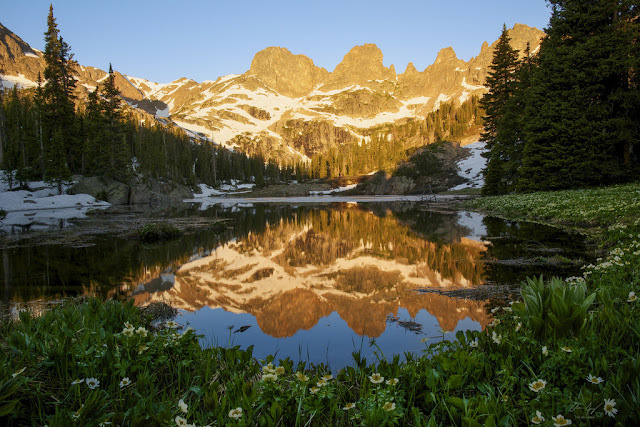 It is one of Colorado's tallest 100 summits and there is a class 2 hike to the summit from Ice Lake for those who are feeling a bit more ambitions. Just add another 2,000 ft. of elevation gain. Piece of cake! It can be difficult to find information about the high peaks of the Gore Range near the town of Vail. This area is much less popular than other mountain ranges for one reason...there are no 14ers. This is a good thing for anyone searching for solitude. It is possible to spend a couple weeknights here without seeing another human. The Willow Lakes are nestled right up to the base of the spires of the Zodiac Ridge between Red Peak and Mt. Silverthorne. This is a long backpack, but well worth the effort. Don't forget a fishing pole. The brook trout fishing in these lakes is insane! The Chicago Basin is a difficult place to access. The easiest way to get here is to take the historic Silverton/Durango Narrow Gauge Train. The train has one stop in Needleton (which sounds like a town, but is actually in the middle of nowhere) and drops hikers off at the trailhead. From here it's a long hike in to the base of four remote 14,000 ft. mountains. 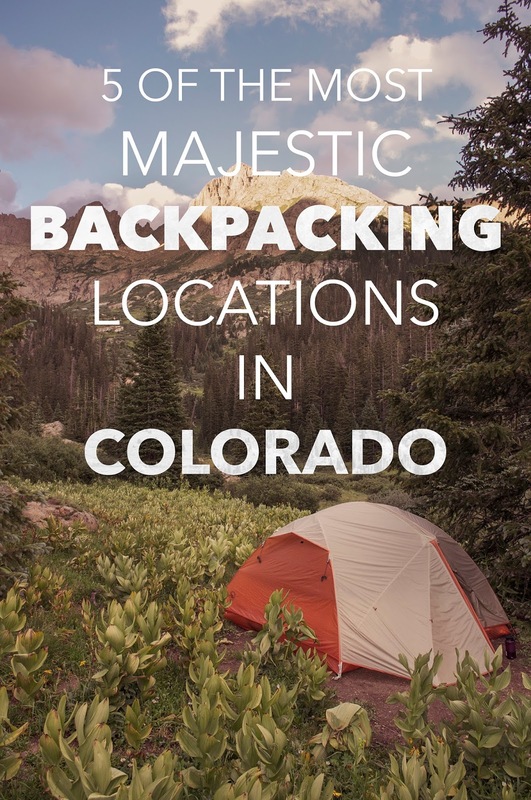 Most who hike this far usually continue on to climb to the summit of the 14ers which range in difficulty from easy scrambles to class 4 climbing. The Needle Mountains are some of the most jagged and picturesque in Colorado. For those looking for a little less strenuous outing, Cathedral Lake near the town of Aspen is a great option. The lake lies near the base of Centennial 13er Cathedral Peak in the stunning Maroon Bells/Snowmass Wilderness. The lake is a popular destination for day hikers as well, but an overnight trip makes a sunrise/sunset over the lake easier to view. 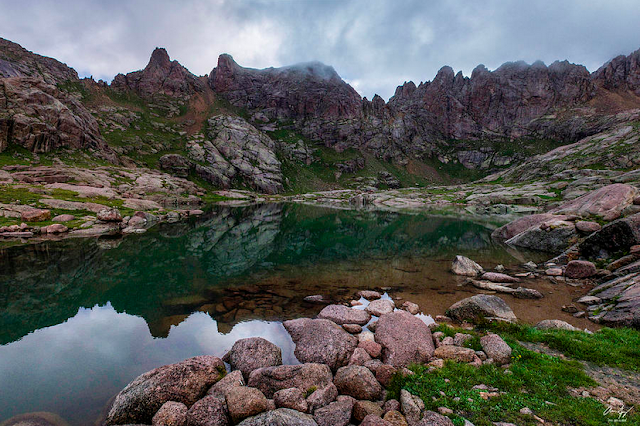 Make sure to continue on the trail past the lake toward Electric Pass for awesome views of the rugged Cathedral Peak as well as unique angles of Colorado 14ers Castle Peak, Pyramid Peak and the Maroon Bells.